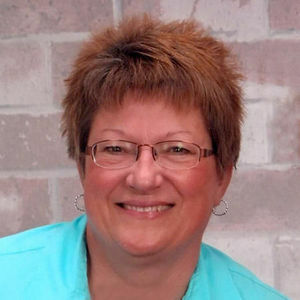 Sheila K. Heger, 57, Wahpeton, ND, passed away Monday, May 13, 2013, after a brief illness due to CJD, at St. Francis Healthcare Campus, Breckenridge, MN. The Mass of Christian Burial will be Thursday, 10:30 am, at St. John's Catholic Church, Wahpeton, with Rev. Dale Lagodinski as celebrant. Visitation will be Wednesday, from 5 PM to 8 PM with a 7 PM Prayer Vigil at St. John's Catholic Church, Wahpeton and one hour before the service on Thursday. Interment will be at Calvary Cemetery, Wahpeton. Vertin-Munson Funeral Home, Wahpeton is in charge of arrangements. Sheila was born September 11, 1955 at Breckenridge, MN, the daughter of Arthur and Marlene (Braun) Luick. She grew up on a farm near Fairmount, ND, attending LaMars #1 Country School, and graduating from Rosholt, SD, High School in 1973. She attended NDSSS where she graduated in 1975. Sheila worked for Dr. Helland for several years before she started her employment with NDSSS. She was President's Secretary for Dr. Blikre and Dr. Olson before being involved with NDSCS Alumni Association and Foundation for several years. She recently has worked with Wahpeton School District. She was united in marriage to Joe Heger on June 14, 1986 at St. John's Catholic Church in Wahpeton. The couple resided in Wahpeton where they raised their three children. Sheila was a member of St. John's Catholic Church. She was a member of the Wahpeton Fire Department Auxiliary, and was an avid bowler, bowling in ladies couples's league. She enjoyed reading, gardening and cooking. She loved spending time with her family, especially with her 16 month old granddaughter, Harper. Sheila is survived by her husband Joe, Wahpeton, her two sons and daughter: Eric (fiancé, Rizzi King) Heger, Wahpeton; Bradley (Kayla Meyer) Heger, Bismarck, ND; Allison Heger, and her daughter, Harper, Wahpeton; her mother, Marlene Luick, rural Fairmount, ND; five brothers and sisters: Paulette (Joe) Laudert, Lisbon, ND; Susan (Harry) Hoyt, Abilene, TX; Artie Joe Luick, Kindred, ND; Lynnette (Tim) Matejcek, Fairmount; Bruce (Brenda) Luick, Fairmount, ND; mother-in-law, Mary Heger, West Fargo; sisters-in-law, Chris Messall and Jean Heger, brothers-in-law, Dennis (Renae) Heger and Brian (Heather) Heger; and many nephews and nieces. She was preceded in death by her father Arthur "Artie" Luick; her father-in-law, Myron "Mick" Heger, and her nephew, Andy Laudert. Strongest thoughts of care and concern for the family. My special memory of Shelia is the fact that I was less nervous about visiting the dentist when she was working. I can still see and hear her voice as a 19 year old dental hygienist and the color of smock she wore. It was great to have you in this lifetime. Thoughts and prayers go out to the family of Sheila. She was a great woman. My sympathies go out to Joe and family on your loss of Sheila. So sorry to hear of the passing of your wife, our prayers are with you at this time.